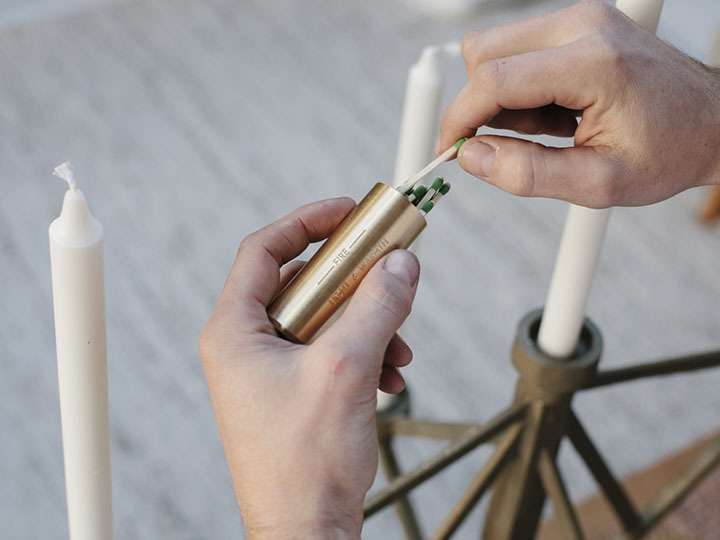 Fire is a spin-off of the Life is Precious Survival Kit. 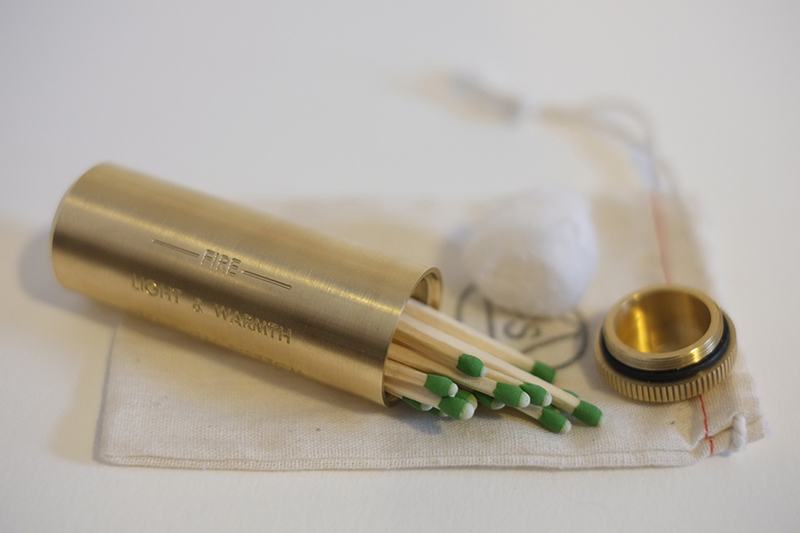 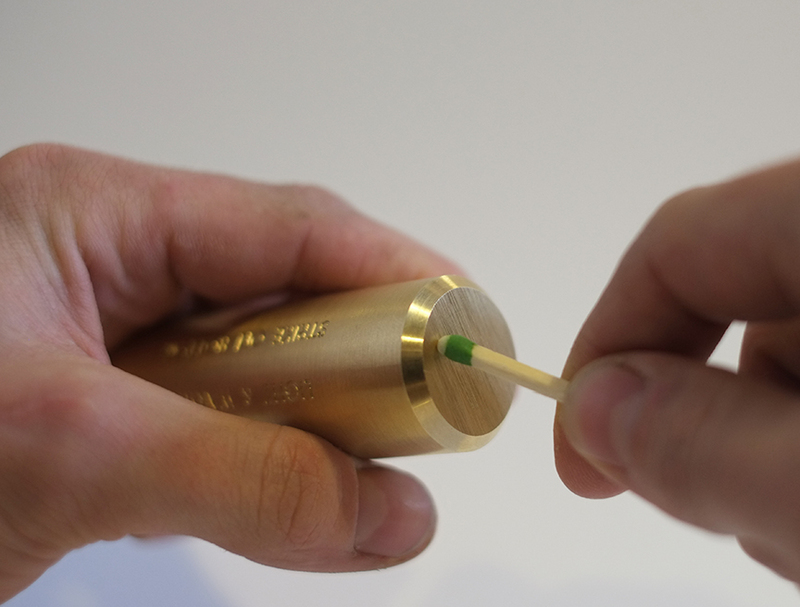 Machined from a solid bar of Brass in Queens New York, this waterproof Fire kit contains strike anywhere matches and a cotton ball in the cap for tinder. 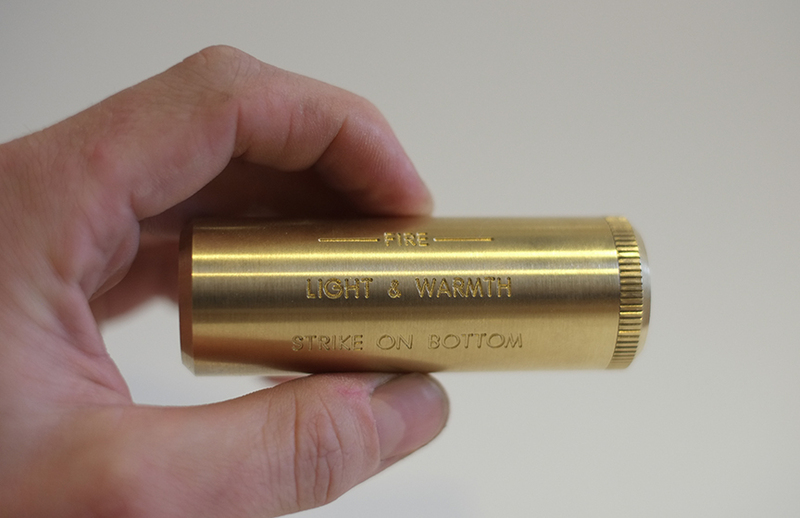 The canister is engraved with “Fire – Light & Warmth – Strike on bottom” instructing the user to use the roughened bottom of the canister as the striker.